The building blocks of literacy include comprehension, vocabulary, fluency, phonics, and phonemic awareness. Documents like the Common Core State Standards call for Kindergarten students to retell familiar stories, attend to key details, produce rhyming words, and provide written responses to reading that share opinions. These standards may sound demanding for a five year old. While every book activity doesn't have to involve every strand of literacy nor meet each CC standard, these standards are attainable and can create strong early readers who love literacy. Most five year old children will eagerly embrace these tasks when they are engaging, fun, and relate to a story they love. 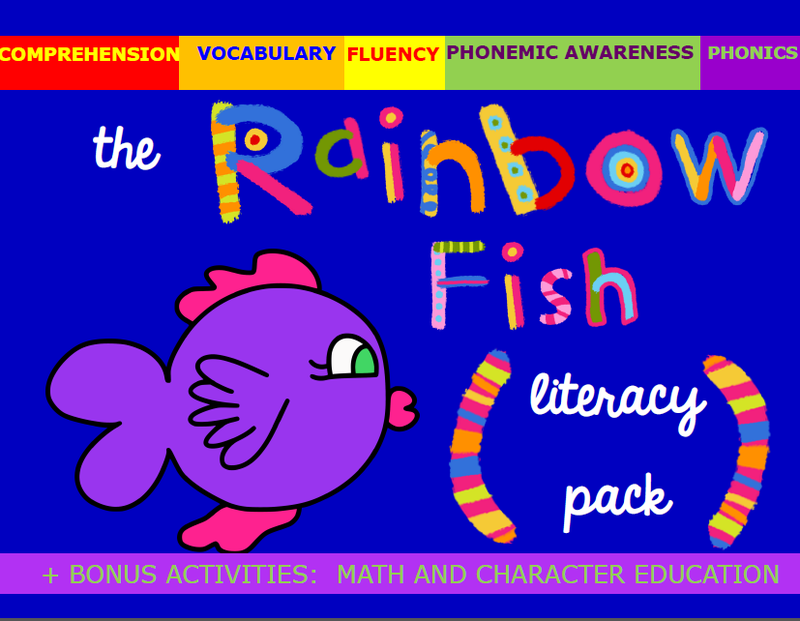 Today I am sharing a free literacy pack to accompany The Rainbow Fish. This cross curricular pack includes each of the building blocks of literacy as well as a character education activity and a math activity. This is only free in my Buy Sell Teach store. Link at the bottom of the post. Discuss the quote, "To have good friends, you have to be a good friend." Help children make connections to the Rainbow Fish. 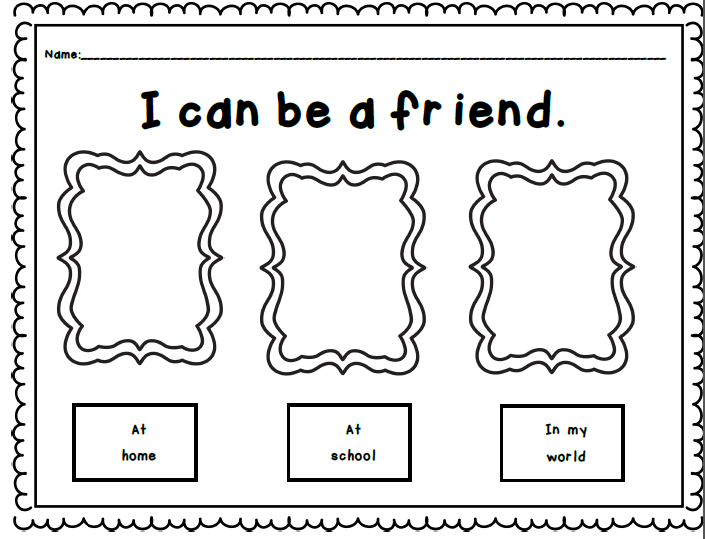 Have students draw ways to be a good friend at home, at school, and in our world. After talking about the theme of friendship, share the poem, "I like you." that is included in the literacy pack. Have students locate high frequency words in the story (I, like, yes, do, with). Reread the poem for fluency. Ask children, "Do friends share with one another? What else can you do to show friendship?" Replace the word "share" in the poem with "play" or other answers from the children. Reread your new version! Help children retell the story by completing a beginning, middle, end graphic organizer. Allow children to draw or write their answers. The organizer in the literacy pack provides plenty of space for kindergarten students to draw or write answers! 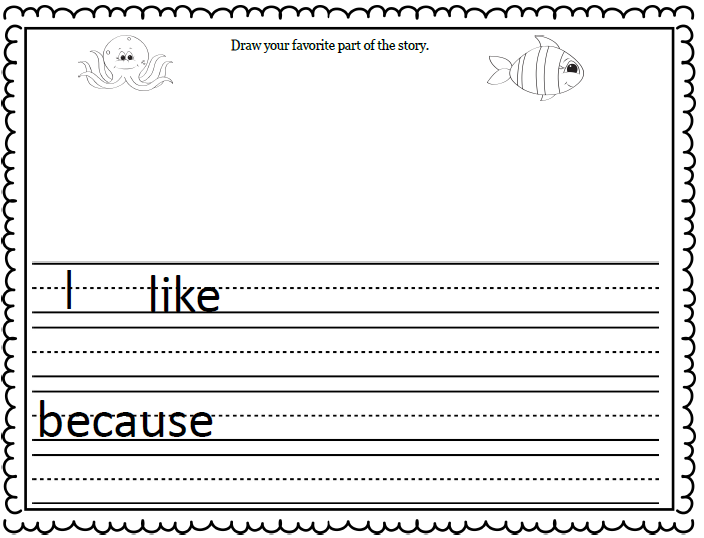 After reading the rainbow fish, give children a blank fish to color. Ask students to listen to the description of the rainbow fish and color their interpretation of the rainbow fish. Use foil stars to add shimmering scales to the fish. 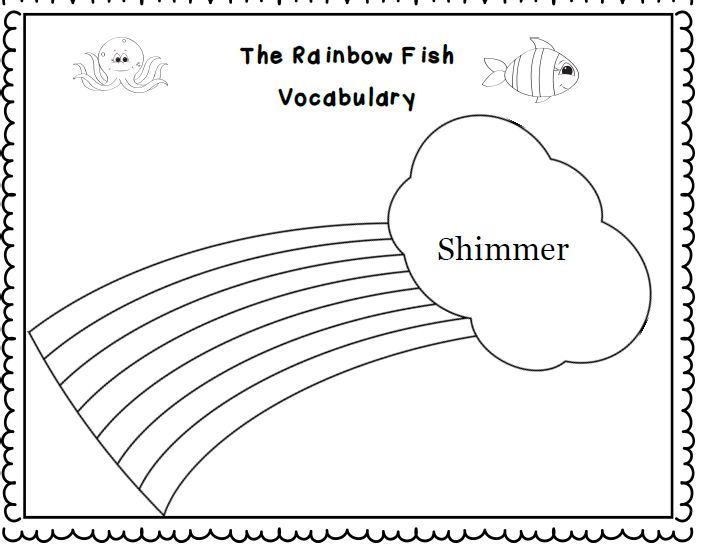 Use the book activity above to discuss the word, "shimmer" with your child. Talk about other words that mean the same thing as the word shimmer. Record them on the rainbow word graphic organizer. 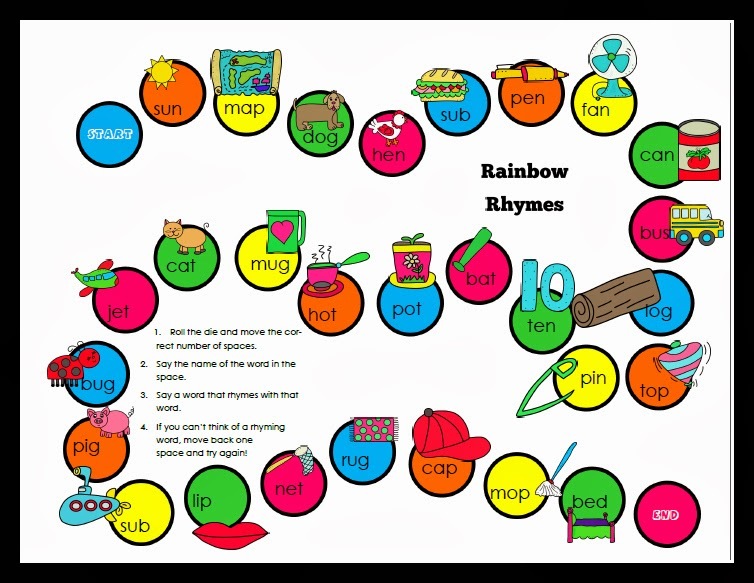 Play rainbow rhymes. You can get a free printable copy of this game in the Rainbow Fish Family Literacy Pack. Marcus Pfister wrote many books featuring Rainbow Fish after his initial book, The Rainbow Fish. You may want to read several of these titles and then ask children to share their favorite rainbow fish tale. In fact, the kindergarten common core state standards asks students to "use a combination of drawing, dictating, and writing to compose opinion pieces in which they tell a reader the topic or the name of the book they are writing about and state an opinion or preference about the topic or book. You can even use the template provided in the literacy pack. It's always great to connect books that you are reading to other content areas. Practice counting skills 1-5 with the fishing math worksheet. Talk about rainbow fish's life under the sea and the friends that he has encountered. Count underwater animals in the rainbow fish books. There is a worksheet to check understanding of counting. Remember, this pack is a free download in my Buy Sell Teach Store by clicking here. I am participating in the Virtual Book Club for kids. Each month I collaborate with over 20 other bloggers to feature a favorite author. This month we are featuring books by Marcus Pfister, author of The Rainbow Fish and many other wonderful picture books. You can find activities for his books by checking out this links below. You can also link up your own ideas.